Growing up my brother and I had a hard time waiting to unwrap our Christmas presents. I’m fairly certain that by 9 a.m., we had opened all the gifts at our home, my grandparents’, and my great-grandmother’s. We would rush to find out what we got and had the audacity to claim we were “bored” by mid-afternoon. I wonder how often we struggle with waiting? If you think about it, our entire lives seem to be rushed from one thing to the next. We rarely sit. We’re over scheduled. We’re impatient at times. As a result, we often become frustrated while waiting on people, especially when “our time” is affected. Put yourself in the shoes of our spiritual ancestors. They anticipated the coming of the Lord. They knew the promises of God for a Messiah who would save and redeem the people. They waited for hundreds of years for Jesus to come. Could you wait that long for Jesus to fulfill a promise to you? Advent is about waiting with anticipation for the actions of Christ in the world, especially as we await the Lord’s return. It is not just about preparing for Christmas, it also teaches us how to live as the people who wait on the Lord throughout the year. 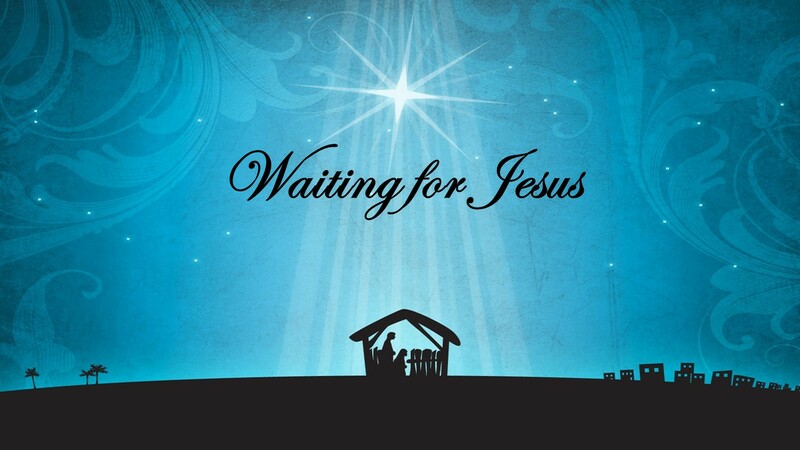 This Advent season, I invite you to join us as we reflect on what it means to wait on Jesus. I’m excited about Advent and sharing these devotions with you. I pray they will offer you the blessing of hope as we await the celebrations to come.